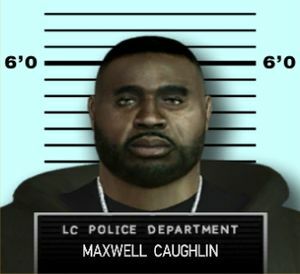 Maxwell Caughlin is a criminal residing in Liberty City in 2008 and is wanted by the Liberty City Police Department for gang related violence. He hangs out on Hollowback St in South Bohan and can be killed by Niko Bellic, depending on the player's choice. He drives an Emperor. This page was last modified on 26 October 2013, at 14:06.